Ex stock: new and used tank containers. Immediately available! To cater for an immediate demand, Flaxfield has developed a revolving stock program for both new and used tank containers. A diverse range of equipment is available on site at the Europoort facility whereby any additional works required to the used units to customize them to the clients requirements can be performed prior to dispatch. New units are located at both the Singamas factory in Shanghai as well as on and our facility in Europoort/Rotterdam (Port 5612). These are of a generic specification with the option of having them modified to suit your individual needs should these differ from the generic type. The used tank containers vary from 15.500 litre up to 36.500 litre in specifications ranging from T1 to T23, T50 and T75. Handrails, baffles, glycol heating or cooling units are frequently part of the specification of the ‘as is’ tanks. 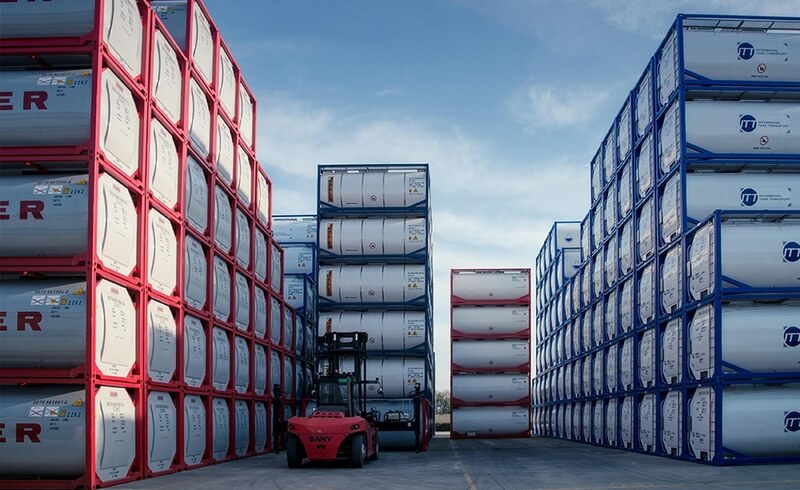 When required we can modify or refurb the tank containers via our partner tank container depot Aspenal, located at the same ITT Europoort premises (Port 5612 in Rotterdam). All tanks offered are from our own stock and are not on consignment. The new tank containers ex stock are UN portable mostly 26.000 litre tanks with insulation, handrail and steam heating. 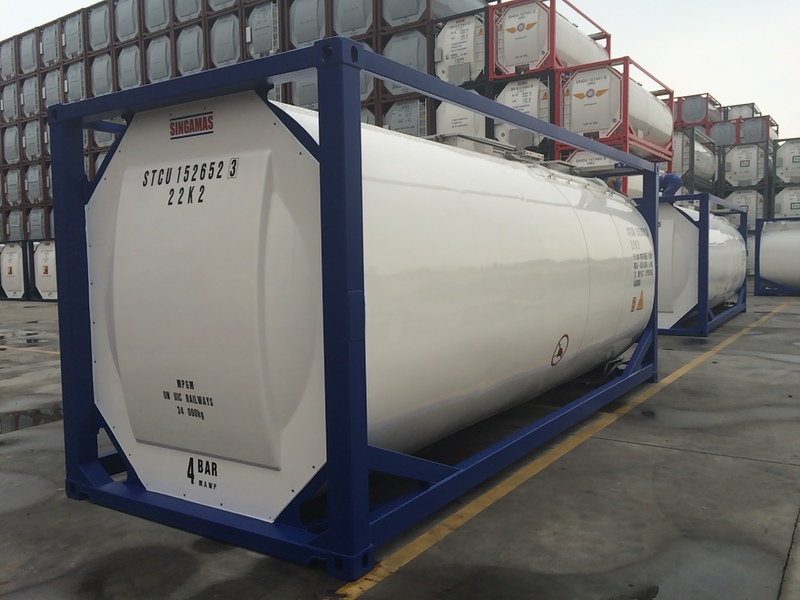 Both the used and stock tank containers are available in Rotterdam as well as in Shanghai. Ask us for more info! We would like to emphasize that the new and used stock tank containers we offer are all from our own stock, we are no intermediary party. In case the customer is in need of a specific specification which is not in our stock, we can support the customer in sourcing the needed tank(s).